Ford is one of the most legendary vehicle brands in the world. It was one of the original heavyweights back when automobiles first replaced covered wagons as the ideal form of transportation, and it has maintained a solid reputation ever since. A lot of this is due to the stellar performance of Ford pickup trucks. Sturdy frames and powerful engines have helped make Ford trucks a go-to brand for people with large work or recreational needs. We are pleased to sell these models at Gil’s Auto Sales. 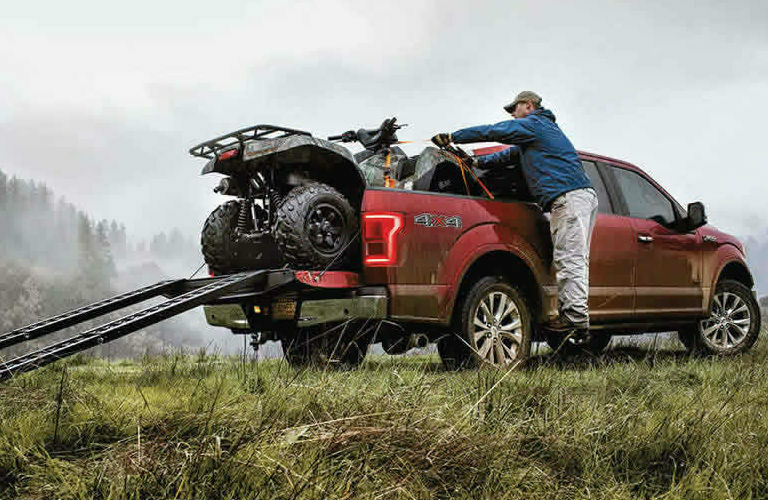 Let’s take a look at some used Ford trucks that can tow over 5,000 pounds, and even some that can tow over 10,000 pounds! Going back throughout the decades, Ford has had high towing capabilities. The 1993 Ford F-150, for example, can tow up to 7,600 pounds. That power increased over the course of ten years to 8,800 pounds, because Ford never rests on its laurels and is always pushing itself further and further. The 2010 F-150 increases that capacity all the way up to 11,300 pounds, which opens up a whole world of possibility for what you may need to tow. While the F-150 is Ford’s most popular truck, it is not the only player in the field. Ford has an entire truck lineup capable of pulling heavy weight. The Ford Ranger, while no longer being produced at the moment, is a smaller pickup whose 2004 and 2008 models can tow up to 5,860 pounds. Ford also produces a line of Super Duty trucks, like the F-250 and F-350, each with towing capacities that can exceed 10,000 pounds for the heaviest workloads. Follow these tips when shopping for a used Ford truck or any other vehicle. Our inventory is always fluctuating, but you can find a number of used Ford trucks at Gil’s Auto Sales. The F-150 is especially popular on our lot, which makes sense given its sought-after status out in the world. You can also find the Ford Ranger here, an old favorite. Since automobiles come and go at our six locations, many different Ford truck appearances are a possibility. Keep checking our inventory of used Ford vehicles for updates! Where can I buy used cars in the Columbus Metropolitan Area, Georgia? This entry was posted on Thursday, March 10th, 2016 at 12:21 pm	and is filed under Dealer Information, Ford. You can follow any responses to this entry through the RSS 2.0 feed. You can leave a response, or trackback from your own site.